Aaaand we’re back for another snack attack. This time we’re looking at Subway healthy swaps – we’re gonna Eat Fresh in the only place where your sandwich is made by an artist. We’re stood in Subway and we’re hungry. The smell of bread is intoxicating, I get it. How are you going to resist? Well, perhaps you don’t have to. Who on earth wants to go to a Subway to eat salad when there is glorious (glorious!) bread on offer? If you were completely out of your mind being on your best behaviour, don’t be deceived as the salad with all the best bits (chicken and bacon, obviously) is 334 calories for a bunch of leaves. 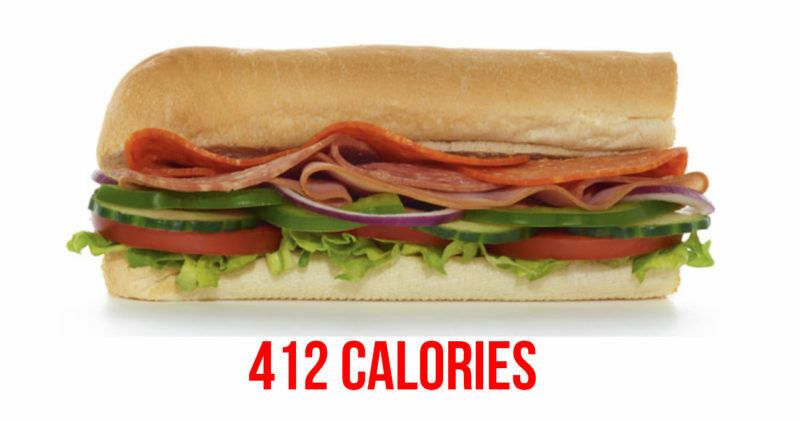 There are several combinations of subs you can get for those cals, and yes, that’s including bread. The sheer amount of options included in a Subway can feel like an absolute maze but don’t worry buddy, we’ll help you navigate your options in a calorie-safe but satisfying way. The first thing to say is: get a 6-inch. No one needs a footlong for their lunch. 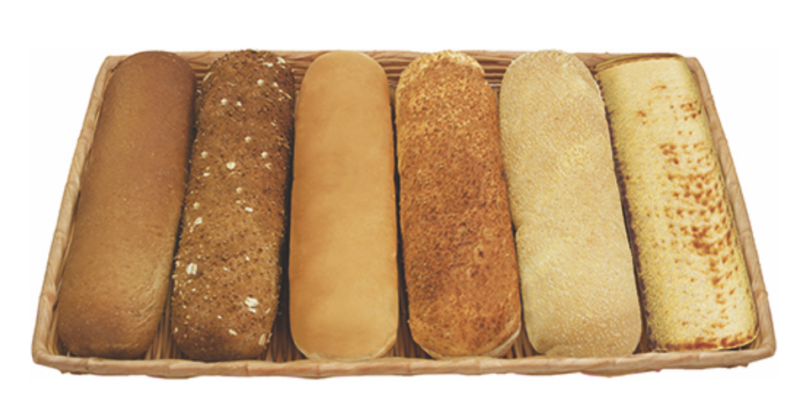 Calorie counters, your best choice when it comes to bread is the white bread. 192 calories of soft pillowy bread which is actually (believe it or not) in joint first place for having the lowest sugar content at 3.5g per serving. Avoid the Italian Herb and Cheese as though some might say that’s the king of Subway bread, it clocks up has the highest calories at 237. Really though, there isn’t a lot of difference in calories for the bread, so if you can’t bear the thought of your sub without a sprinkle of herbs then go for what your heart desires. But if you’re counting your macros, take everything above and flip it on its head. 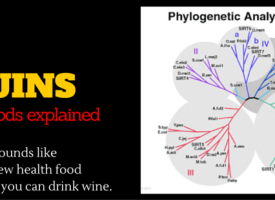 If protein is your aim then the Italian Herb and Cheese is the one you want as it has the most protein. At 9.2g per serving, it can go a long way toward helping you feel more satisfied. Other good choices for bumping up your protein is the flatbread and honey oat. Subway’s pick ‘n’ mix approach to meal times can a) be extremely daunting, if you haven’t done your research and b) keep you stuck in a rut, picking the same ol’ thing for the sake of quick and familiar grub. 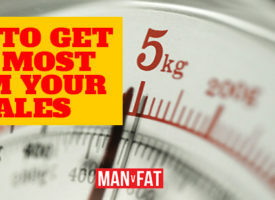 So I’m doing the hard work for you; comparing calories, protein, sat fats and sugar. Subway’s nutritional information is based on a 6” sub on 9-Grain Wheat bread so it may need a little tweaking depending on your preferences. I’m seeing a theme here, are you? The veggie delite, which is literally just bread filled with salad, is (on paper) great if you are counting calories. 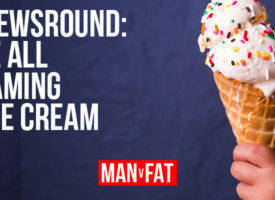 It’s great if you’re avoiding sugar and fat. And it’ll certainly bulk out your sub and give you plenty to chew on. But without a lot of protein, you’ll find yourself getting hungry pretty soon after. It’s a buzzword at the moment but protein is one of the most important building blocks for our bodies, it’ll help you repair and recover after that big workout and if you’re going to treat yourself to a big sandwich, you want it to be somewhat beneficial right? And if you’re keeping an eye on your calories, you want something that will fill you up and won’t leave you wanting to eat everything in sight. My choice is always an Italian B.M.T. Deliciously salty and satisfying cold cuts of meat (salami, ham and pepperoni) loaded with salad and a drizzle of sauce. At 412 calories, it certainly isn’t the heaviest option, it packs in the protein at 21.2g per portion and there’s something naughty about having a big meaty sandwich. Selecting lean protein (chicken, turkey, ham or tuna) can help you avoid saturated fats and sugar and will go a long way towards keeping you satisfied til dinner. But if meat isn’t a treat for you, the Veggie Patty is also a great all-rounder at 379 calories, only 3g of saturated fat and a great 20.6g protein, which isn’t bad for a veggie option. 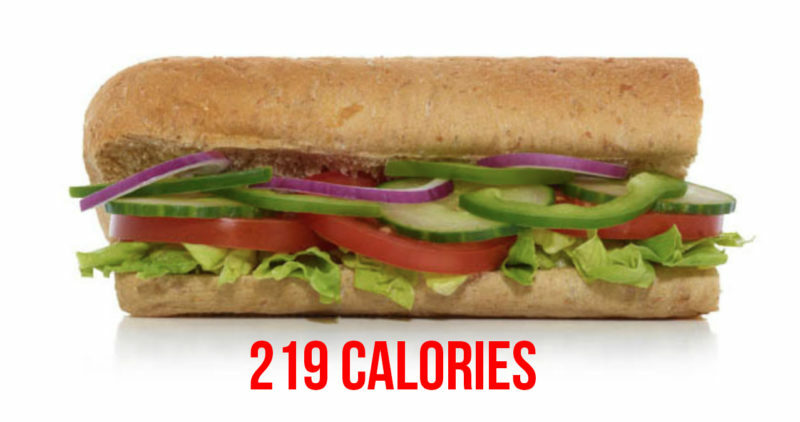 If you’re wondering how many calories your fave is, plus what the impact of adding your fave sauce is, Subway has an excellent nutritional calculator on their site where you can add all the extras here. 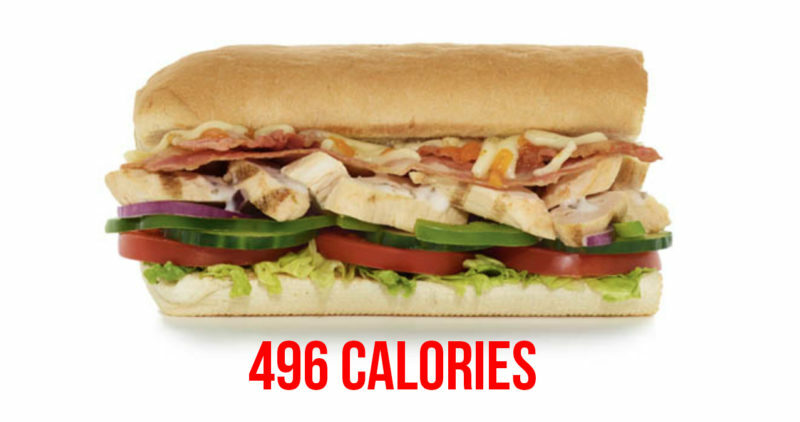 Pick any of the options, then hit ‘calculate yours’ to personalise your sub and get the calorie count. Alright, so we were a bit harsh on salad because honestly, anyone who would prefer a salad to a sandwich is a bit weird. But if you are in the market for something a bit lighter, or you’re cutting down on carbs, Subway is the absolute best place to go for a good salad. 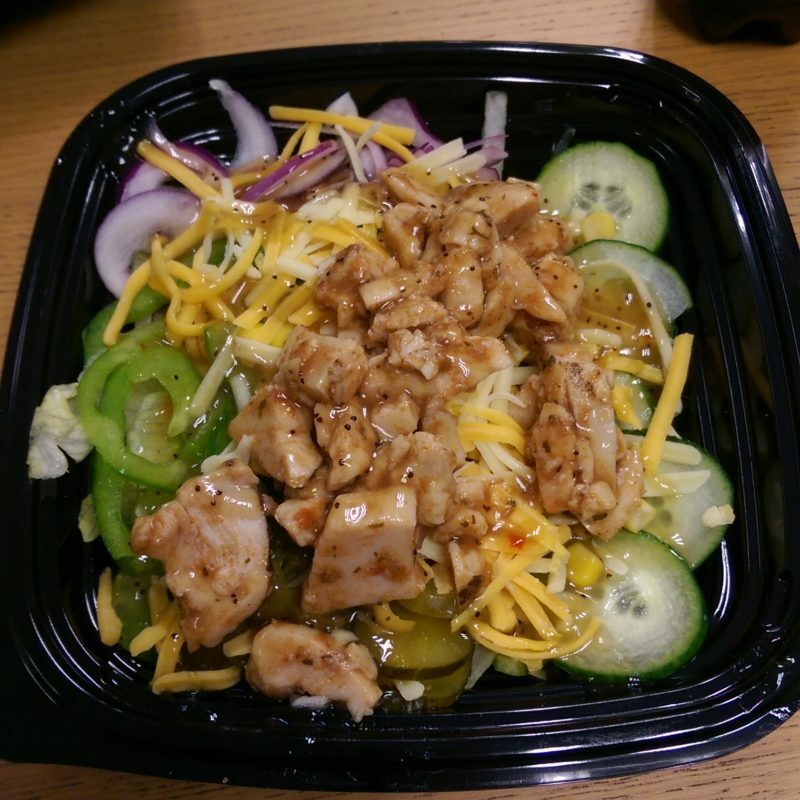 They put it in a fancy bowl and you can load up on any of the toppings you’d otherwise get in a sub, so a salad with chicken teriyaki is pretty special. The salad above is something we grabbed while out a few months ago, and it came in at just over 200 calories. Not bad at all. Just be wary of loading up on too much stuff – all that extra bacon and cheese really do add up. If you can resist the extras on your sub then I am jealous. But if you’re like me and you like to go big on your sarnie then you should at least know how to fit it into your calorie allowance. 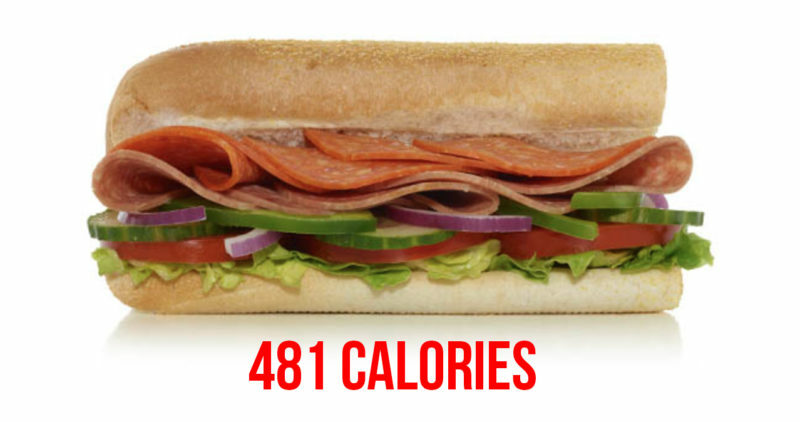 Maybe Subway knows something we don’t, but they’ve gone a little bit top secret in regards to macros, providing us with just calorie information for your extras. Sticking some avocado on your sub will set you back 71 calories, but will add a creaminess that could probably allow you to skip the mayo. Also avocado has fantastic health benefits, and did you know its fat content could help with reducing your appetite? Worth considering. A portion of bacon is only 40 calories (you know you want to) and beautiful smoky chorizo comes in a little bit higher at 52 calories. It’s good news for you hotheads as the light choice when it comes to sauces is the Hot Chilli sauce at just 10 cals for a serving. But if you can’t handle the heat, the next best thing is the sweet tomato marinara sauce, at 18 cals per serving. The most calorific is the Chipotle Southwest sauce, which will add 89 extra calories to your sub. 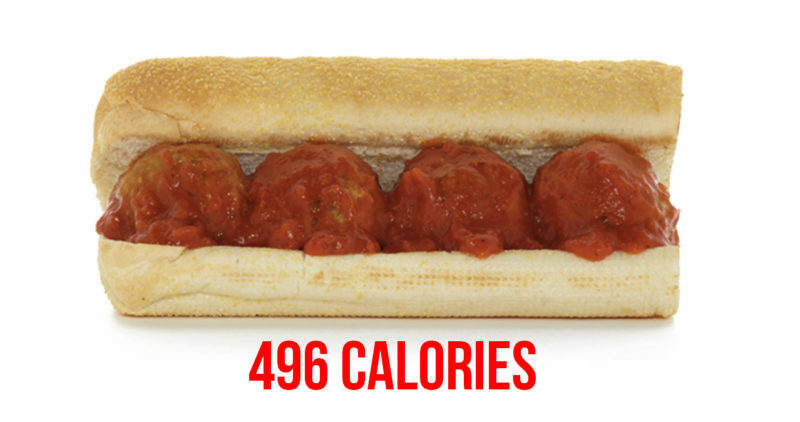 89 calories does seem high for a squirt of sauce, but at least you can take some comfort in knowing no matter what sauce you choose, you won’t add more than an extra 100 cals to your sub. Even the breakfast options aren’t too bad, calorie-wise. 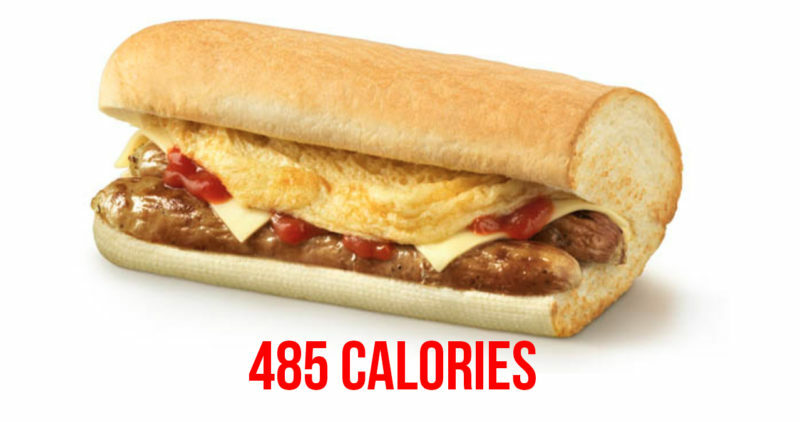 A sausage, egg and cheese sub is under 500 calories, with 8g sat fat and 25g protein and the eggy option is under 350 calories with half the saturated fats and 13.9g protein, so Subway is a solid choice for a quick breakfast on the go. You know the drill. If water doesn’t float your boat, stick to sugar-free drinks to avoid busting your calorie balance. Armed with your knowledge, go forth and eat fresh. 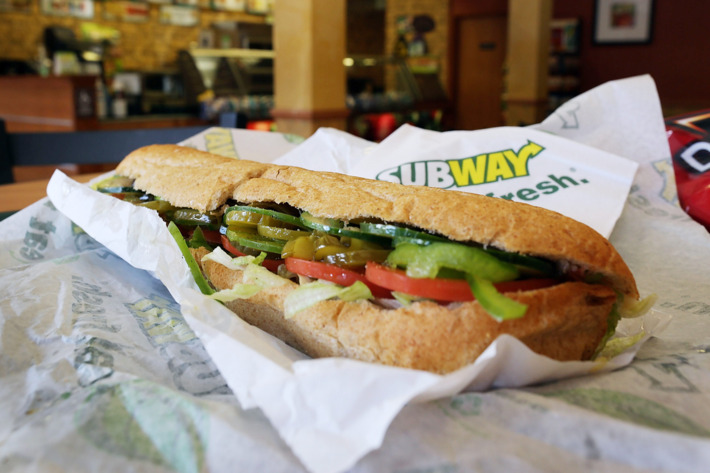 What’s your favourite Subway combination? Let us know over on the forum and tell us what else you’d like to see given the Swap Shop treatment. 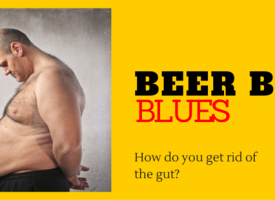 How Do You Beat The Beer Belly? 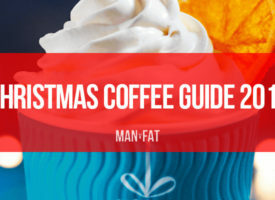 How many calories in Costa and Starbucks Christmas coffees? Italian BMT is the only thing I ever get in Subway. I’ve just spent a while researching how many calories mine would add up to. Italian BMT on Honey Oat , Southwest and Hot chilli sauce, coming in around 530 calories. It will mean a light evening meal but needed something nice at work. Swap your sauces out for sweet onion and that’s my order! My usual (although haven’t been there for yonks) is teriyaki chicken, honey oat, sweet onion sauce, lettuce, cucumber, sweetcorn. Cheese and toasted because duh. Oh I love subway. But I always tend to walk to and from the restaurant. Pair the restaurant with exercise. I’m also getting a custom sandwich. So I always assume its 3/4 of the closest sandwich I can find. That’s a good idea. I’m going to go there on Saturday and I have the choice of taking a bus which would drop me off right outside or I could take the train and walk 20 minutes to it. So you’ve inspired me to get the train!